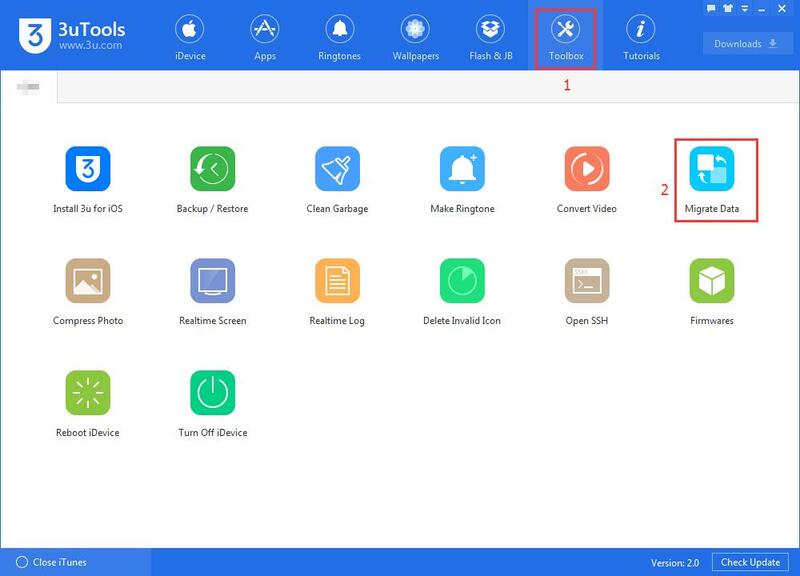 tutorial| How to Migrate Data Using 3uTools? How to Migrate Data Using 3uTools? 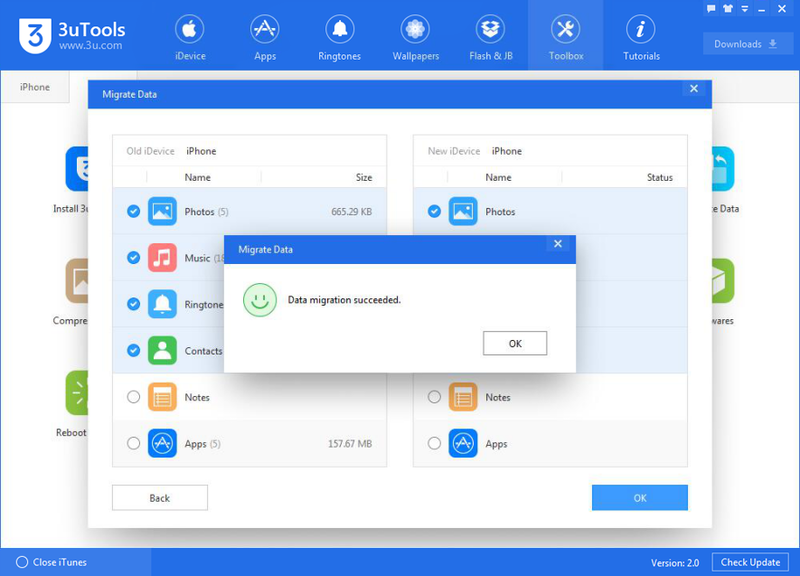 Update: Migrate Data has been renamed as "Transfer Data" in latest 3uTools versions, this change won't affect any features or process in it. 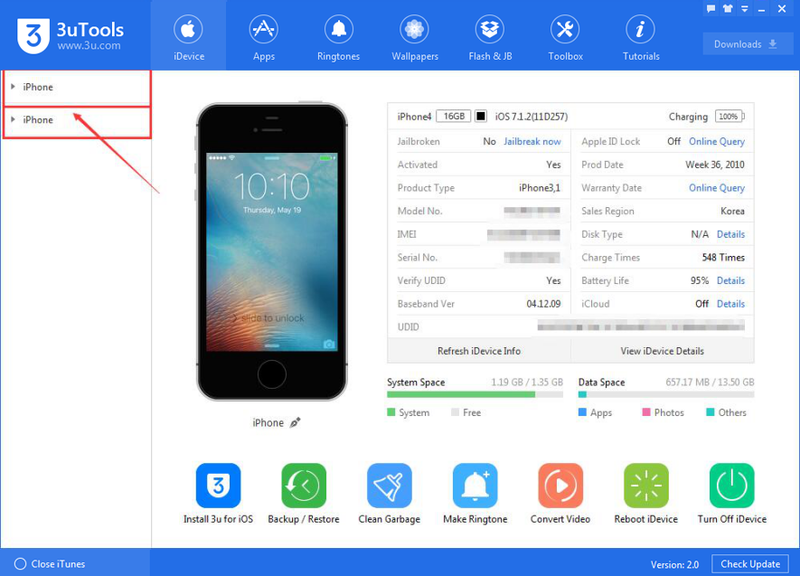 The tool “Migrate Data”can help migrate iPhone's data from one iDevice to another iDevice very fast. 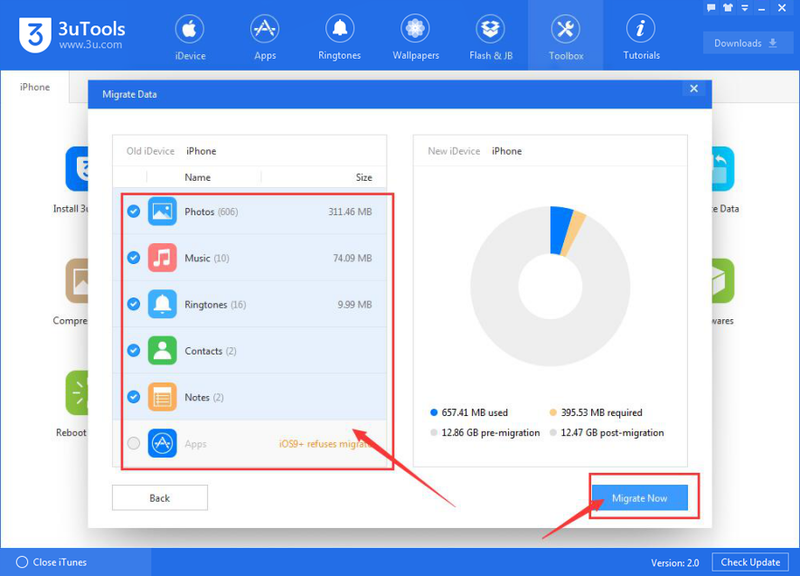 Then how to migrate iPhone's data using 3uTools? *Tips: First of all, you need to prepare two iDevices. 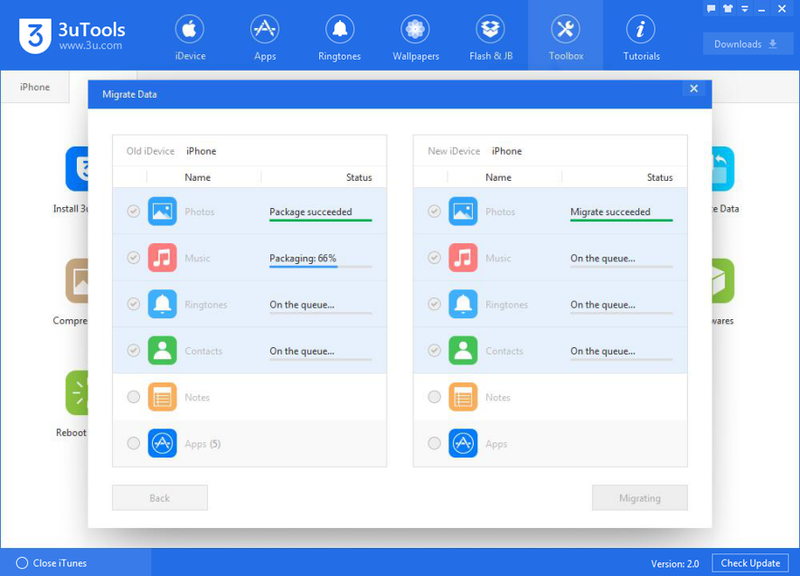 Step1: Download and install the latest 3uTools on your PC. 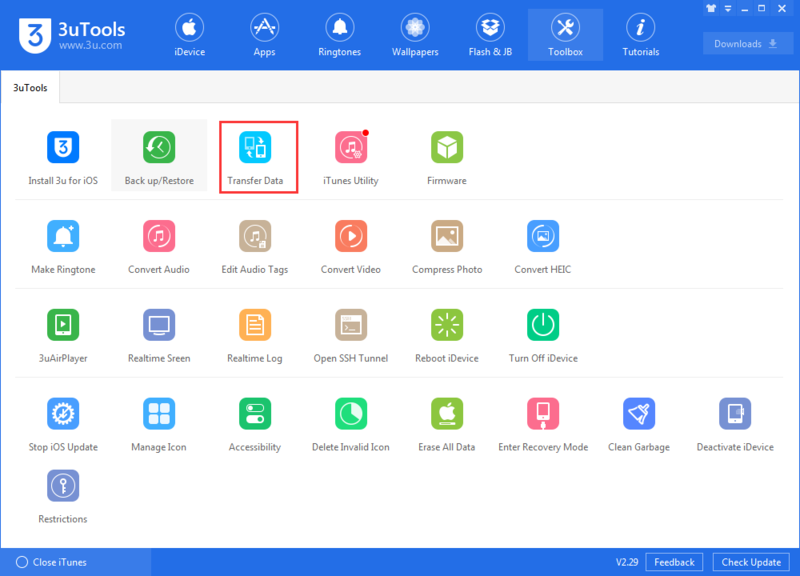 Connect two iDevices to PC using the USB cable. Step2: Click Toolbox”→click " Data Transfer". Step3: After the two iDevices are successfully connected, please click “Next”. 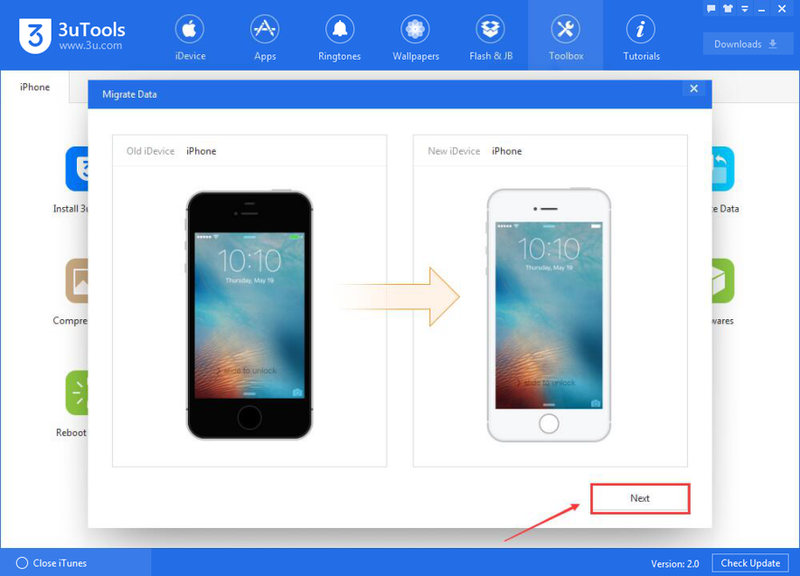 Step4: Select the items which you want to migrate, then click“Migrate Now”. Note: If you choose the item “Photos”, you need to do the following operations on your iPhone. 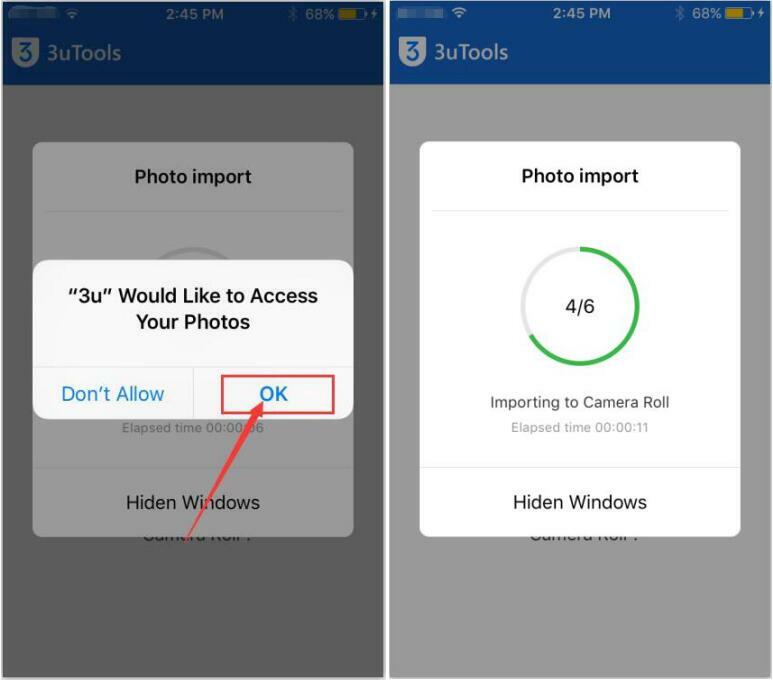 * Your iPhone will receive a reminder that "'3u' Would Like to Access Your Photos", then click“OK”. Step5: Wait till this process is finished. Step6: After this process is completed, you need to click“OK”.